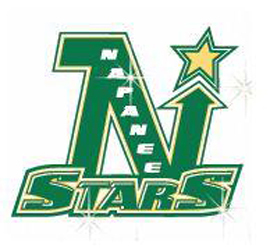 The Napanee Peewee AE Stars continued their playoff success, eliminating Ennismore Friday night with a 13-3 win. Not resting on their laurels, they travelled to Lindsay on Sunday to get a 3-1 win to start the second round of the playoffs. Game 2 is Saturday with puck drop at 3:30 at the SPC. -The Joyce’s Meats & Deli Atom BBs eliminated Stirling with back-to-back wins of 15-1 and 10-1 in their final home-and-home of the season with Stirling. Goalies Caleb Scrimshaw and Jack Godfrey each earned a win. On Sunday, Ben Kerr led the way with a hat trick, Matthew Airhart had a pair, and singles were recorded by Lucas Asselstine, Drew Osborne, Liam Birney, Wyatt Albright and Evan Gaffney. Cal Moore, as a call-up, tallied four assists. Next up is Lindsay. -The L&A Mutual Insurance Atom AE squad split weekend games with Lindsay by identical 4-3 scores. In Lindsay on Saturday, they traded goals with William Babcock scoring for the locals in the first. They built a 3-1 lead in the second, as Zachary Wilde scored with a helper from Cruz Maracle and Cooper Seaton tallied from Callen Wilson. Their hosts battled back to tie the game but Oliver Kimmett got the winner with 29 seconds left, assisted by Wilson. Sunday, it was 1-1 again after one period thanks to an individual effort by Maracle. The Muskies got three unanswered goals in the second, but Maracle and Brock Alaver closed the gap to one. With goalie Carter Cork out for an extra attacker, they could not get the equalizer. They trail in the series 2-1. -The Napanee Exit Realty Acceleration Bantams will face Prince Edward County next, while the Midget BBs await the winner of the PEC/Lindsay series. The Novice Stars will face Ennismore and PEC in round robin play Saturday and Sunday at noon at the SPC.